. Published on 12/02/2019 . 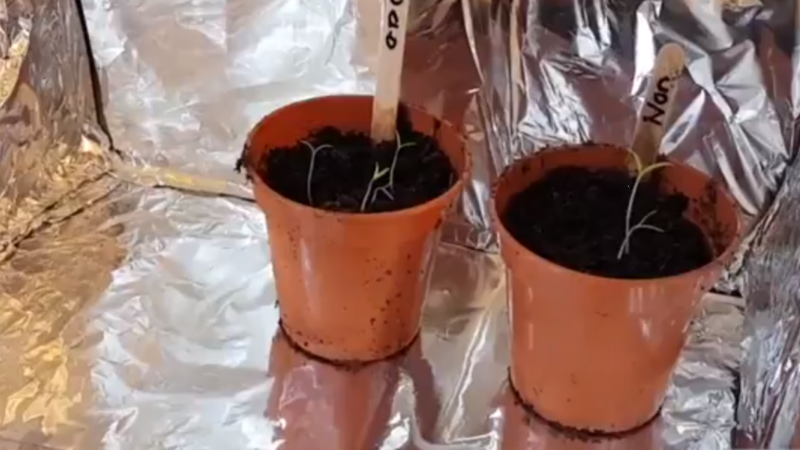 Alice Whitehead is full of simple ideas to make you grow more successfully and she has surpassed herself this time with this cheap and easy way to make a plant lightbox for your seedlings. During the winter months it’s time to sow seeds that need a longer growing season like Tomatoes and Chillis. Because there isn’t much light in winter seedlings can often grow straggly. You can avoid this by buying an expensive propagator with a lamp alternatively you can follow Alice’s simple instructions on how to make a plant lightbox for your seedlings. All you’ll need is a cardboard box and some tin foil.